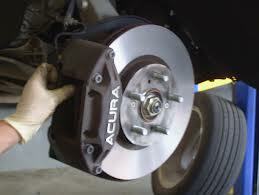 Perez Auto Center technicians begin with a thorough inspection of a vehicle’s brake linings and key components. A written evaluation, with detailed diagnoses of findings, is provided and reviewed with the customer. Brake service recommendations are based on the vehicle manufacturer’s specifications and the existing condition of brake components that impact system performance. Vehicle manufacturers recommend brake repair inspection at regular intervals, usually every 12,000 miles, to ensure vehicle safety and cost effective repairs. Brake repair & services are recommended based on vehicle manufacturer specifications and existing conditions for brake linings and other key components.